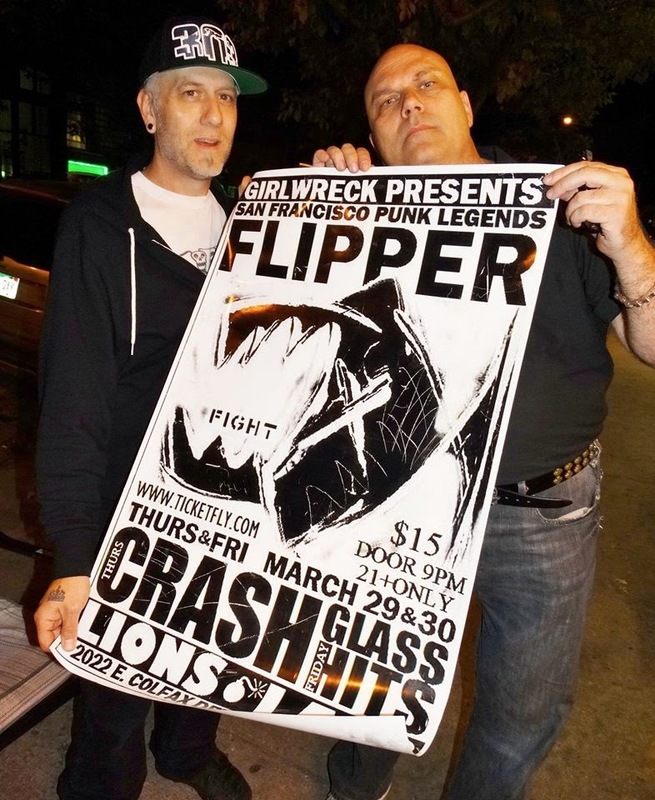 Girl Wreck presented Flipper's two-night stand at the Lion's Lair on Thursday, March 29 and Friday, March 30, 2012. Although a legendary punk band in its own right, many remember the Bay-area outfit best for being immortalized by Kurt Cobain on an episode of Saturday Night Live, when the late Nirvana frontman wore a homemade T-shirt with the band's name emblazoned on it, a marker design that was then later shamelessly appropriated by Forever 21. He also wore the Flipper shirt in the In Utero jacket. Recently the honorable and Colfax lovin' Rev. Jim Norris was presented with one of 15 collector's edition posters from the event! !